Singapore’s central bank has good reasons to delay easing monetary policy, even though doing so appears squeamish for a small economy battling weak global demand and low prices. The Monetary Authority of Singapore left its policy of “modest and gradual” appreciation of the local currency unchanged in its policy review on April 14. A majority of analysts surveyed by Reuters had expected further easing. The MAS had raised their hopes in January with its unexpected decision to reduce the pace of the local dollar’s appreciation against a basket of other currencies. A weaker Singapore dollar should boost the cost of imported goods and help arrest a slide in domestic inflation. It could also help the city-state’s exporters regain some of their lost competitiveness. The latest data show Singapore’s manufacturing industry shrank by 3.4 percent between January and March compared with a year earlier. 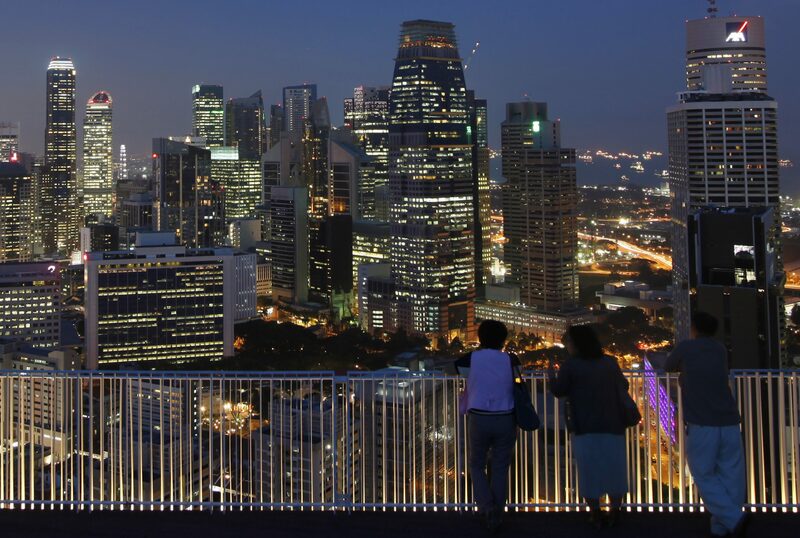 The Monetary Authority of Singapore left its policy of “modest and gradual” appreciation of the local currency unchanged in its semi-annual policy review on April 14. A majority of analysts participating in a Reuters survey had expected the MAS to ease policy for a second time this year. Singapore’s central bank manages financial conditions by guiding the Singapore dollar’s exchange rate in a band against an undisclosed basket of currencies. In January, the city-state had reduced the slope of its currency band after reducing its forecast of core inflation to between 0.5 percent and 1.5 percent this year. Singapore’s benchmark 3-month interbank rate has more than doubled in the past eight months. The SIBOR was 1.025 percent on April 10, up from 0.40 percent in August last year. In the same period, the Singapore dollar weakened more than 9 percent against the U.S. currency. The Singapore dollar turned sharply higher after the central bank decision, rising to as high as 1.3597 against the U.S. dollar. Before the announcement, the Singapore currency had weakened to 1.3746, compared with the previous close of 1.3714.